Empower both business users and developers to visually build and maintain apps. 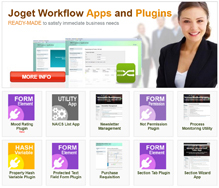 Learn how to develop a full business process app using Joget Workflow. In this v3 tutorial, see how we can build a claims management system. 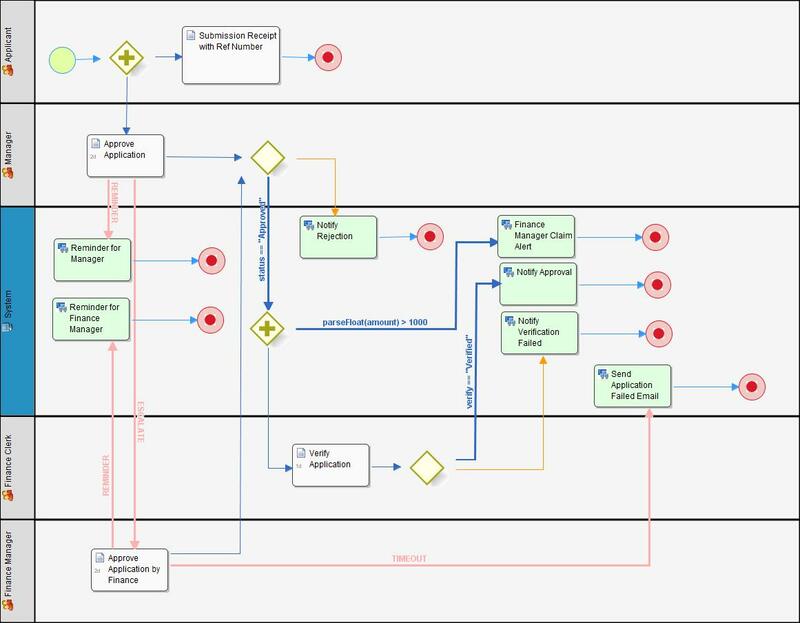 The following image is the process diagram of the workflow in the Claims App. NOTE: The default administrator login is admin/admin. Creating form and mapping the form to a process activity. Using subform to populate existing form into form design. Generating Reference Number in the form. Using Form Grid element and Multirow Form Binder to handle multi-row/grid form data. Map form value into Workflow Variable to dictate the process flow. Automatically populate form field using hash variable. Adding a Calculation Field into the form. Creating a Userview by integrating the process, form and lists.